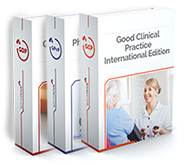 Astra Nova experts have developed this online Good Clinical Practice training, adapted for the local regulations in the United States and required GCP standards by the Food and Drugs Administration (FDA). The US GCP training tool has been developed to meet the regulatory needs of individual and corporate users and contains all US specific and international relevant industry legal requirements. Why take this online training? Training tool suitable for experienced professionals and industry newcomers in the United States, Canada and all organisations that need to be FDA compliant and inspection-ready. This training solution is designed to meet all criteria, and regulatory requirements by international inspection organisations, such as FDA, MHRA, EMA and others and is valid for mutual recognition of Good Clinical Practice training among sponsors and clinical research organisations. The GCP training is also offered in the form of face-to-face training, where experts from our International Network of Trainers come to you; additional content customisations are available upon request.